The Cotswold Automatic Cluster Flush process is fully automatic, with individual unit flushing being initiated by the cluster remover on swingover herringbone and most other parlours and whole side flushing by the vacuum gate controls, on doubled up herringbone parlours. Doubled up herringbones can alternatively be operated by a separate push button (one per side) if required. 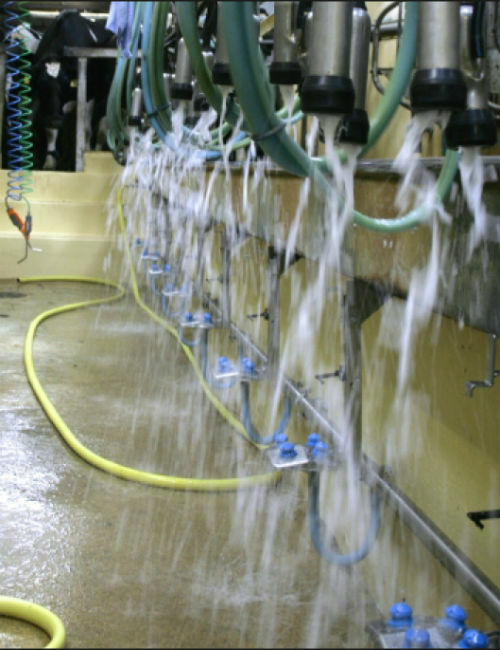 Once it is activated by the vacuum signal, the cluster flush control module completes the cycle of two flushes, (water and peracetic acid 0.5%) leaving the cluster ready to put on the next cow. We now have a compressed air operated automatic cluster drop valve available, as an option, which allows the ACR ram to lower the cluster when flushing, thus aiding drainage. 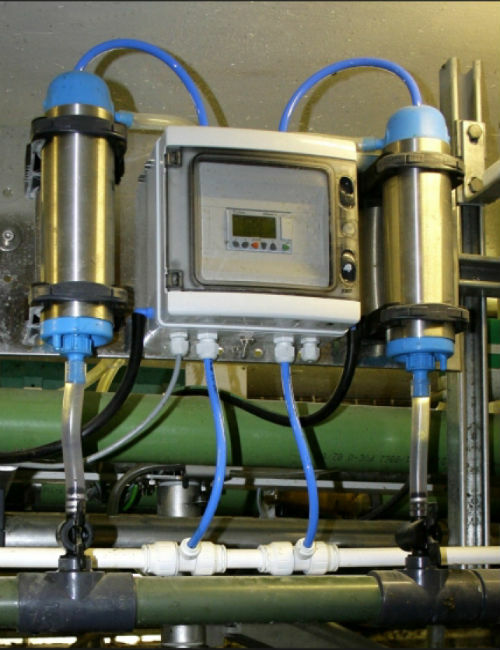 The unique liquid/pressure cylinder, designed and manufactured by Cotswold, means that unlike other systems on the market, no water/peracetic acid mix goes through the solenoid valves, only compressed air. This makes for a much more reliable system and cuts down on expensive solenoid valve replacements. Adapts to most manufacturers systems. Vigorous flushing action effectively sanitises milk tube, claw and liners. Unique pressure-cylinder system, giving consistent volumes of water and pressure of the entire installation. Unique anti-syphon valve system effectively preventing water/chemical mixture being sucked into milk line. 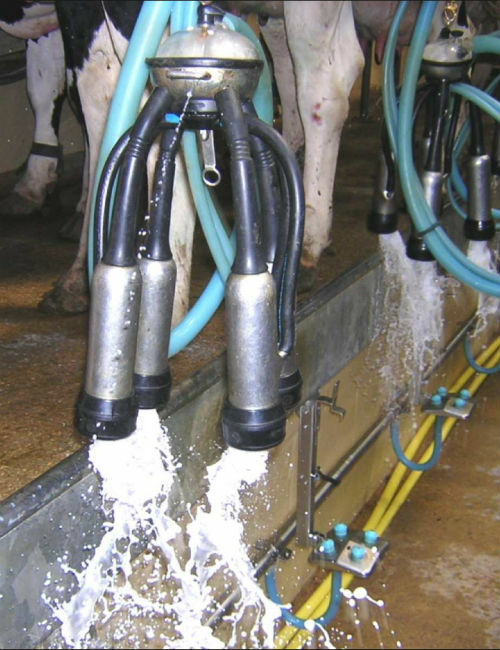 Versions for swing-over parlours, high-level and low level double-up parlours, and rotary parlours. The Cotswold Automatic Cluster Flush system is available for swing-over, doubled up and rotary parlours.